Popular Glass Designs is a FLORIDA STATE GLASS AND GLAZING CONTRACTOR. 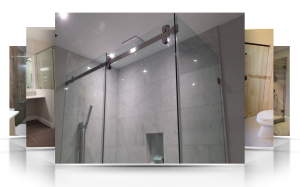 We specialize in the installation of custom frameless shower door enclosures, sliding shower doors, custom mirrored walls, interior glass partitions for residential or commercial, storefronts, including hurricane impact storefronts approved by Miami-Dade County and many other glass applications. Providing quality fabrication, sales and installation of custom glass in Miami, Fort Lauderdale, Hollywood, Pembroke Pines, Miramar, Weston, Coral gables, Pinecrest, Coconut Groves, and all other South Florida cities. Expect unmatched services at affordable rates from Popular Glass Designs. We are creative, innovative, and reliable and we continue offering our services to clients of various statuses without marking boundaries. Be it that you are a commercial client or an apartment complex owner our services are top notch to all. We are also professional and experienced in other areas including installing large mirrors for Dance Clubs, Gyms, and Yoga Studios among others. No job is too small for us to ignore nor too big for us to handle. If you are looking for a team of experts with a wide range of experience in various building types in Miami, look no further than Popular Glass Designs. We will design and install your glass to a wide range of specifications as you find fit. Back painted glass for walls, backsplash and other applications. If you are contemplating any form of glass repair or installation, do not hesitate to talk to us, your trusted experts at Popular Glass Designs. Please contact us today for a Free Estimate and we will make this the greatest experience.